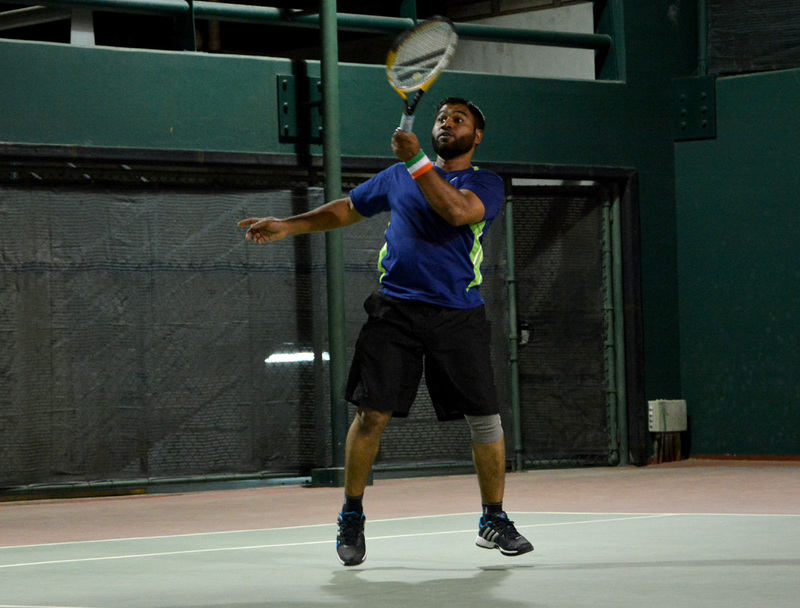 This week starts off with a Class B match between Mohammed Muneebuddin and Yasser Hanafy. 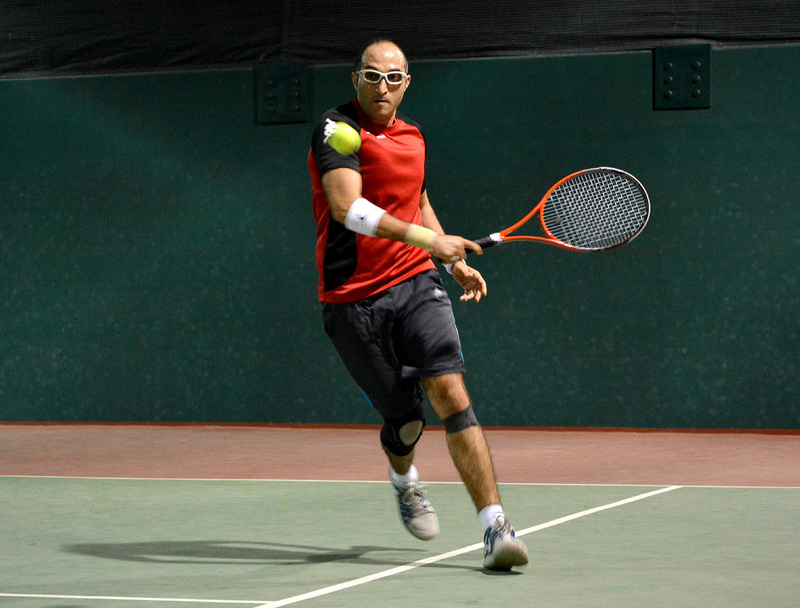 Yasser remained the same with quick movements around the court and consistent returns. 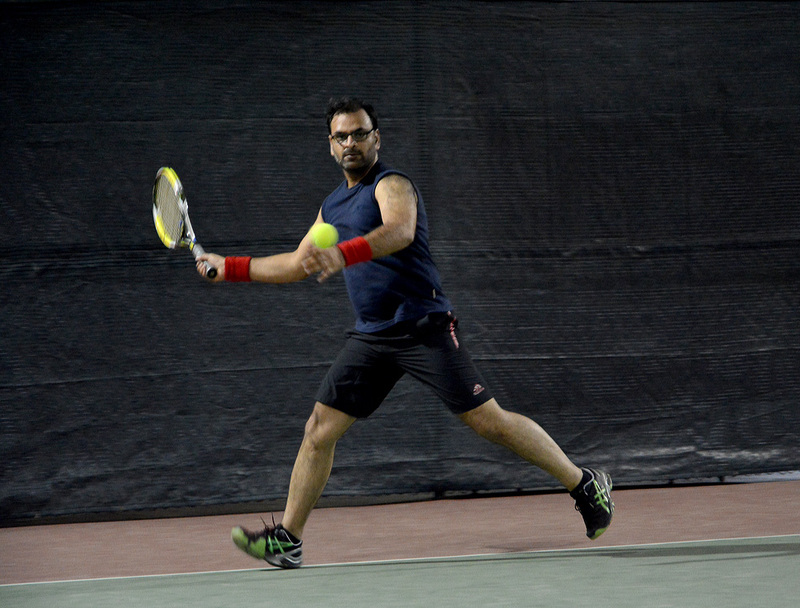 On the other hand, Muneeb started the game strong but ended up with many errors during his serves. This allowed Yasser to take the lead, winning 10 - 3 against his opponent. 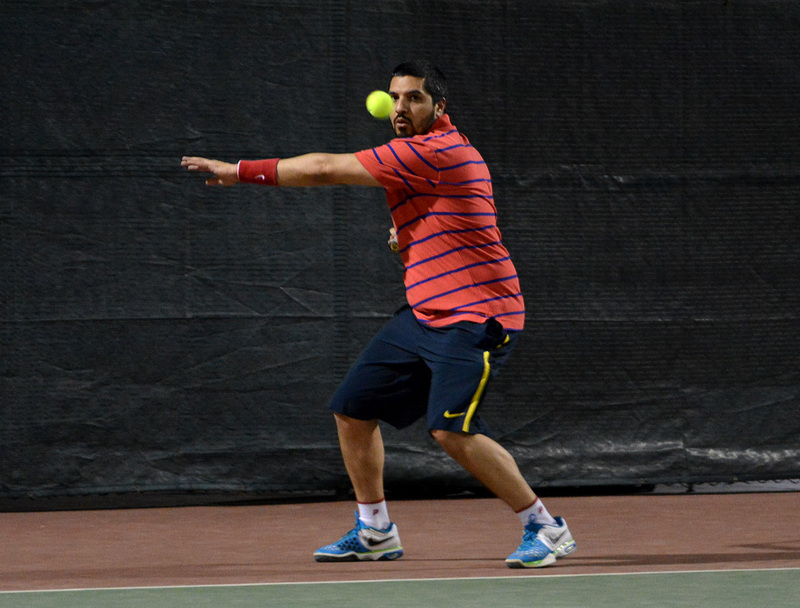 The second match was between Ricky Salazar and Badr Z. Fayez. If you were able to watch Badr's games last year, you should be able to tell that something is off with his current game. Sure, his service is still superb and he's still quick around the court. But something is...off. 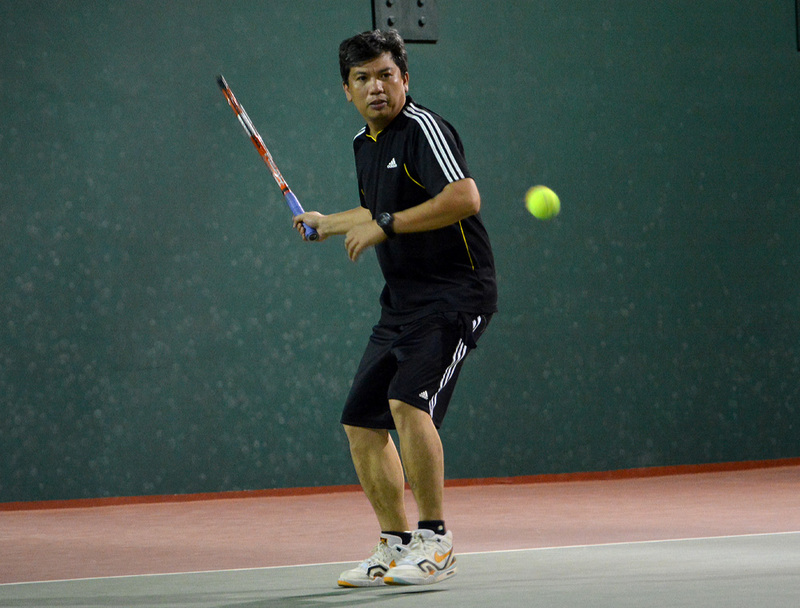 Ricky won the game with scores of 6 - 2 and 6 - 0. After the game, Ricky told Badr what he thought was wrong and with a bit of practice, it seemed like Badr's starting to get back in his game. 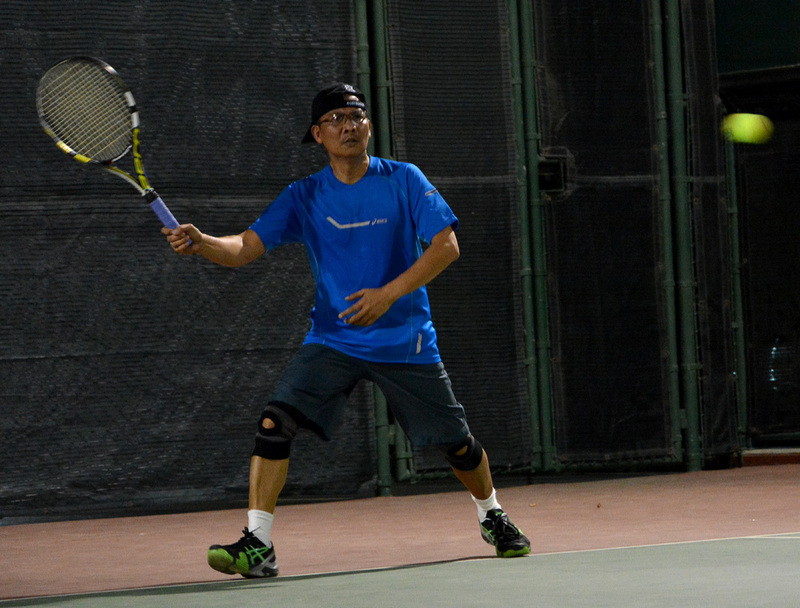 He resolved to practice before his next game to give his opponents a better match. Let's hope we can see him back in top shape like last year. 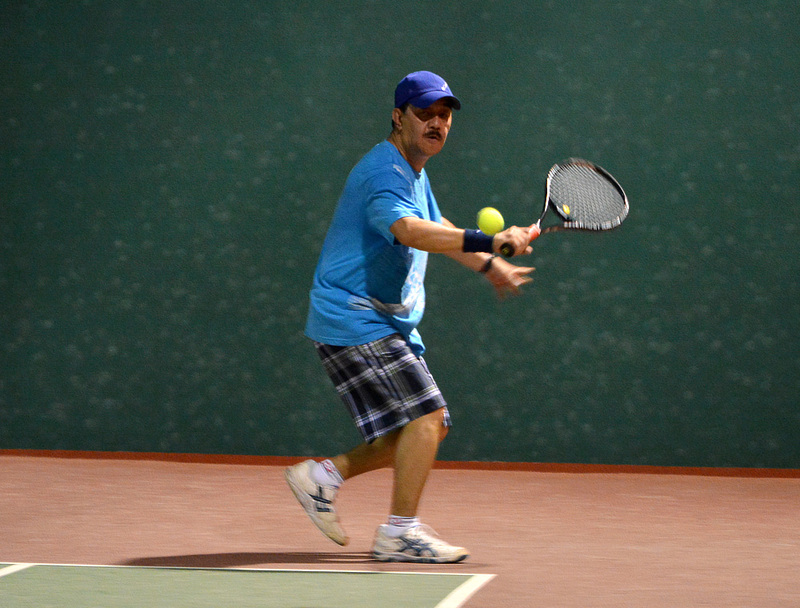 It's an exciting week for tennis with matches scheduled not only during the weekdays but on weekends as well. There were two Class B matches on the same day last Monday, February 16. First off was Johnny vs Dande. Johnny played well but Dande got slightly nervous during the first few points of the game. 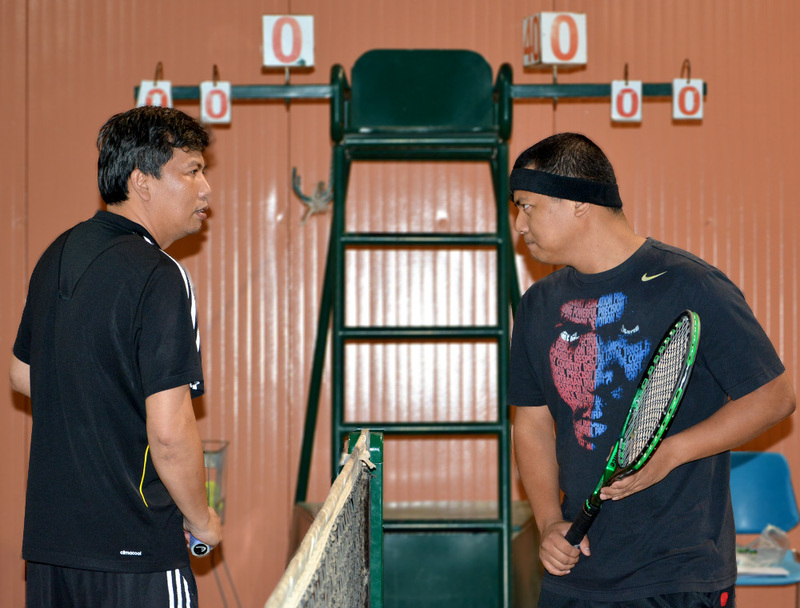 Johnny, however, gave his opponent a boost of confidence and Dande won the game, 10 - 4. Next was Shareef Quadri vs Mounir Bekkali. Shareef had a very good start and it seemed like he would win. 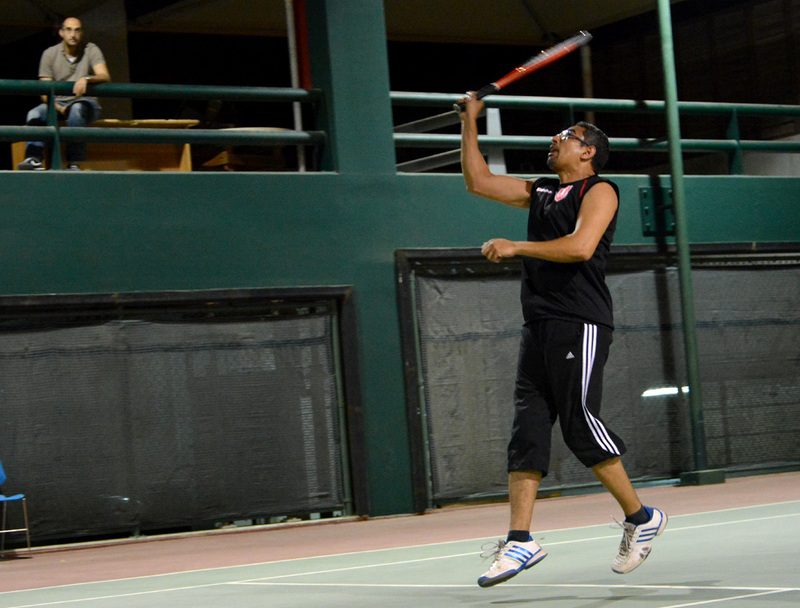 Mounir, however, got his momentum and he managed to pull a win with the final score being 10 - 7. 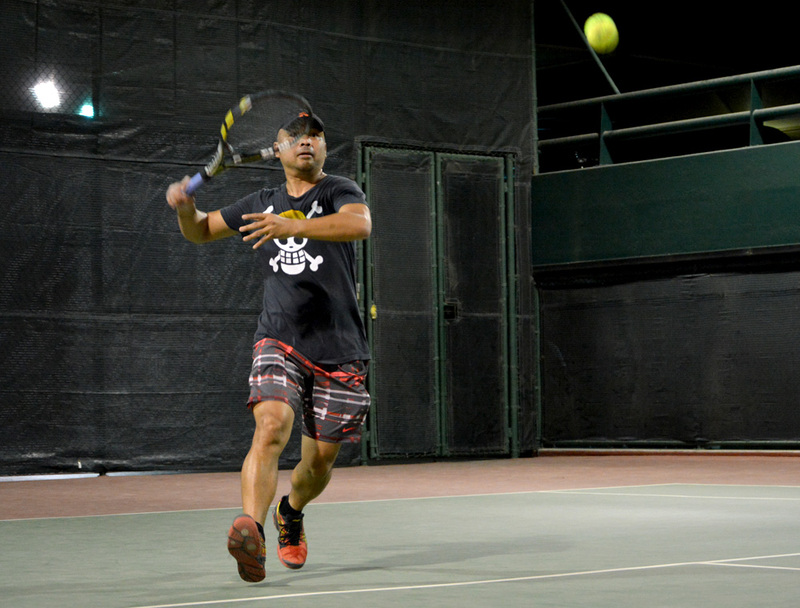 There was only one match the next day and it was a Class B match with Ryan Tiu going up against Jun Noveno. Ryan was down 0 - 4 during the start of the match before finally getting a point. Jun got stuck at 5 points when Ryan changed his playstyle in order to adapt and got the lead up to 7 - 5. Jun got his momentum back and was able to get the lead at 9 - 8. Ryan, however, managed to get the next point leading to a tiebreak where he was first to reach 7 points for the win. 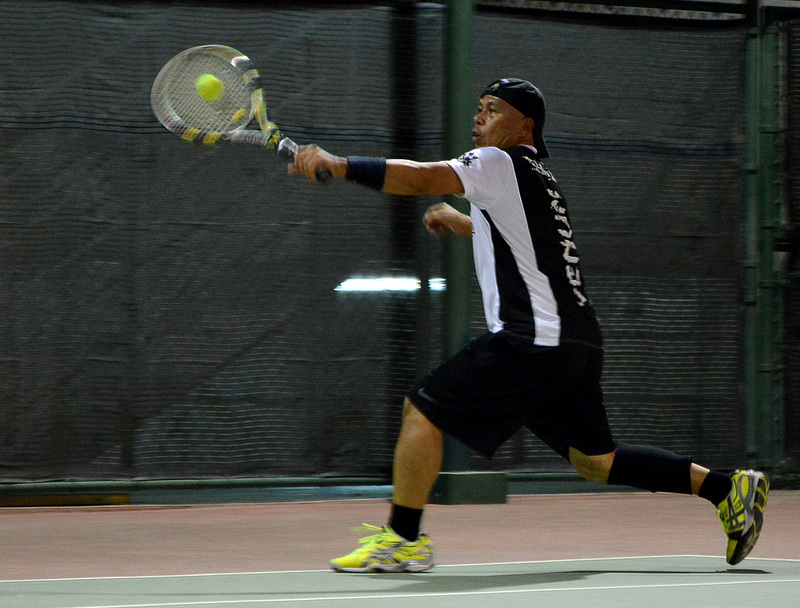 Wednesday had Eric Cuyco vs Obet (Class A) followed by Mohammed Fawzy vs Balsam Hamid (Class B). 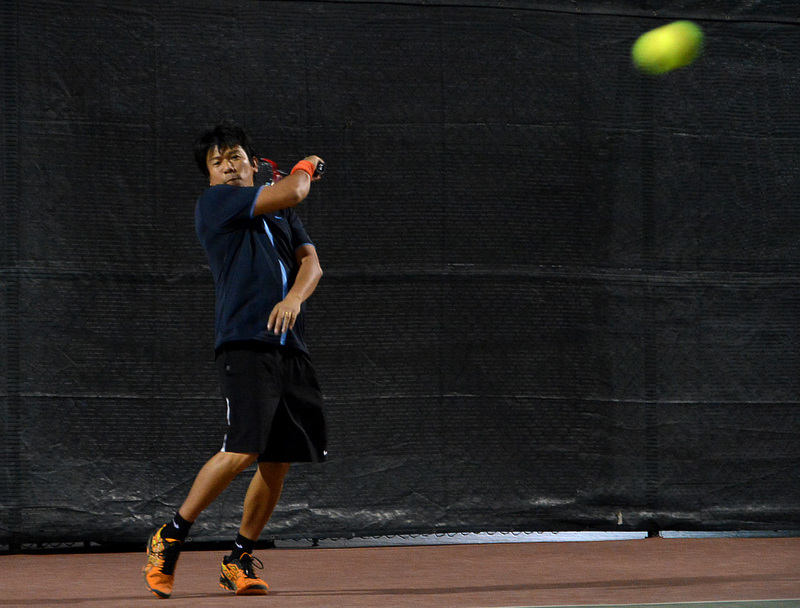 Eric got the first set with a score of 6 - 4 but lost steam during second and third sets, with Obet scoring 6 - 1 on both. 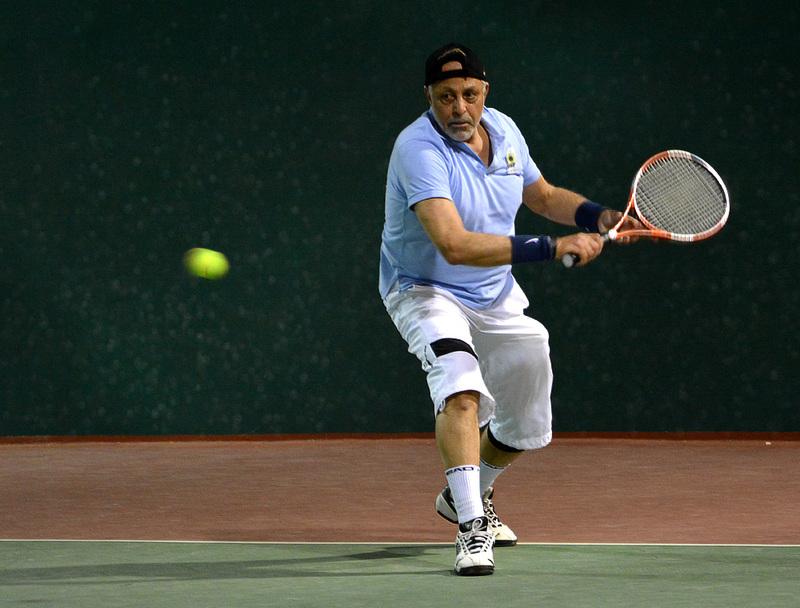 Fawzy managed to win easily against a struggling Balsam who lacked practice until the game. Their final score was 10 - 2. 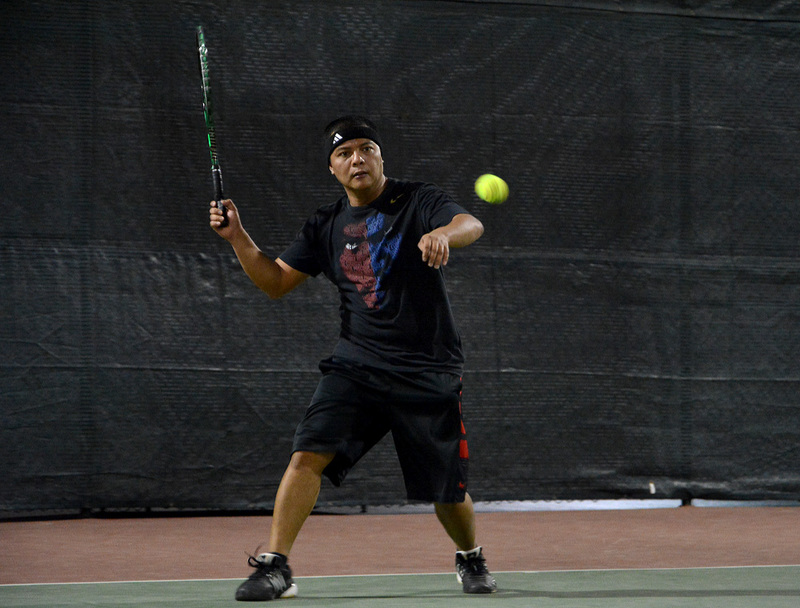 Thursday had two Class A matches with Ed Umlas vs Tamer Saeed and Leo Perez vs Mark Masingkil. Ed gave Tamer a hard time by constantly giving drop shots and lobs, left and right. 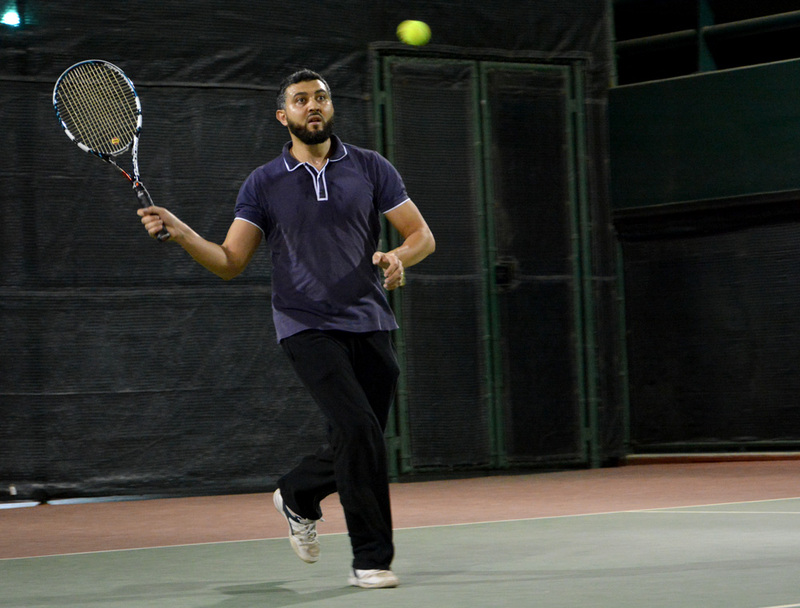 Tamer, known as one of the quickest players on the court, was barely able to keep up. Both players got a set each. On the last set, Tamer had cramps and was forced to take a short break. 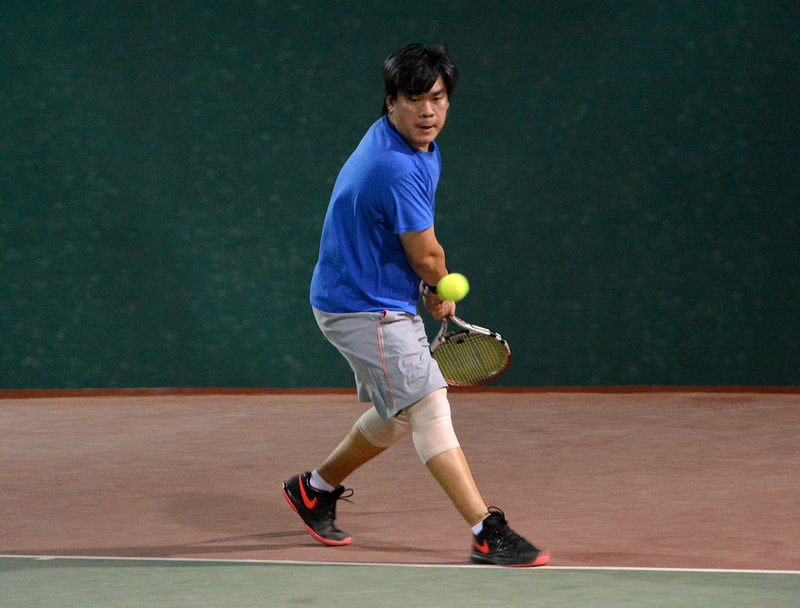 Despite his condition, however, he persevered and managed to win the third and final set. 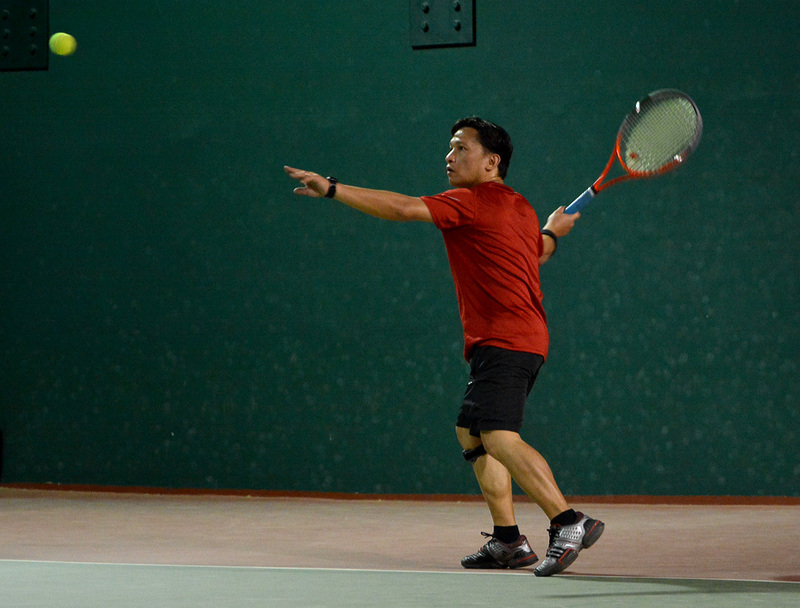 Mark did very well against Leo during the first set with Leo struggling to return Mark's serve. 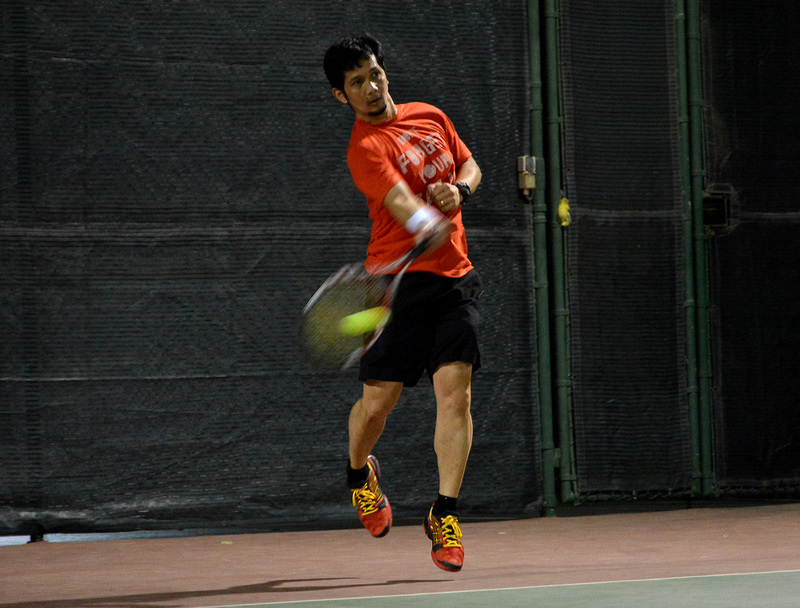 Leo still won the first set, however, with a score 6 - 4. 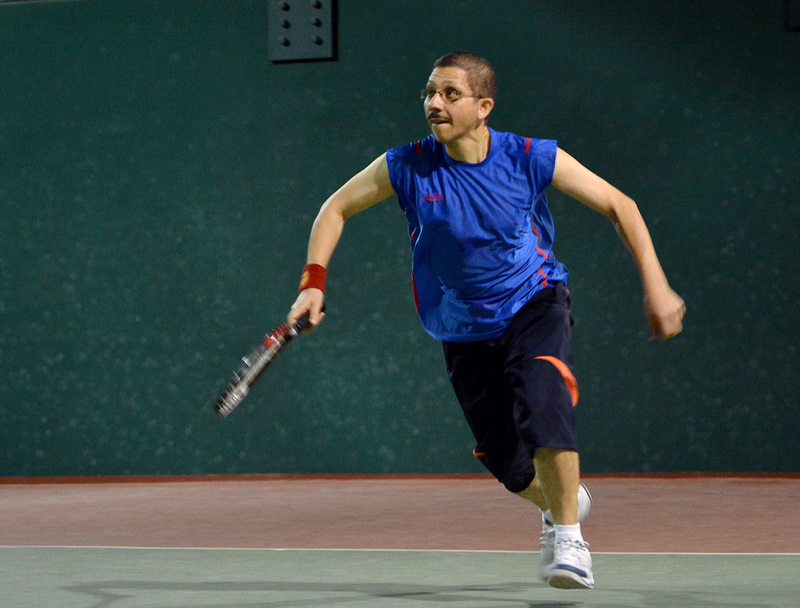 Leo's momentum continued until the second set where he won, 6 - 1. 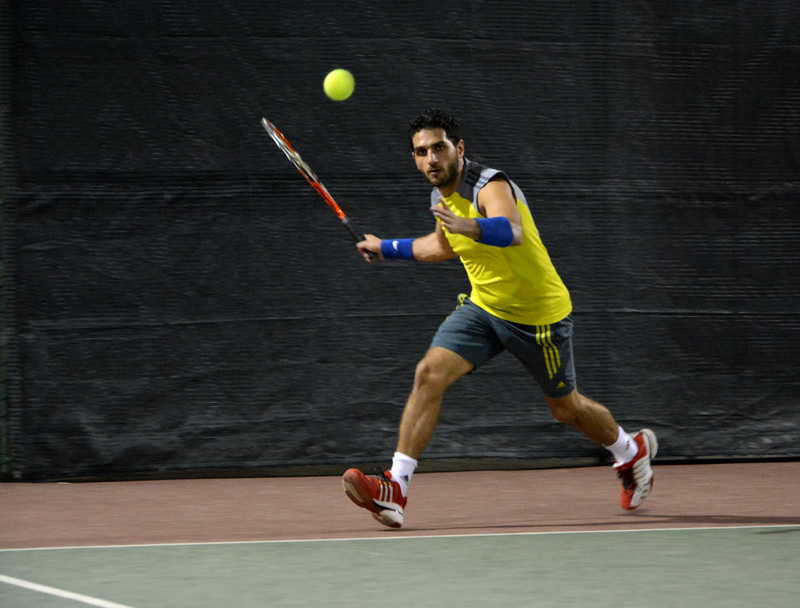 For the weekend matches, Friday had Abdullah Z. Fayez vs Dante Nebrida. 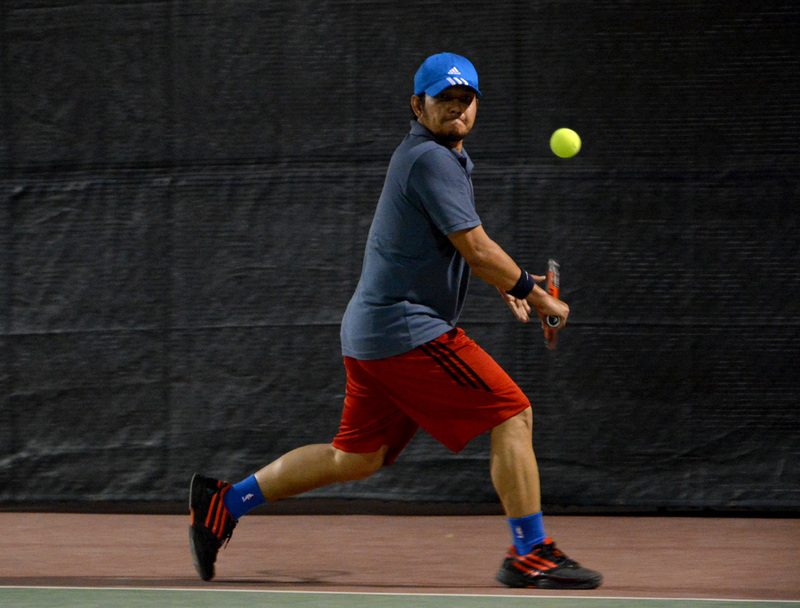 Dante won in 2 sets. Abdullah played well but not like when he won the game a few years back. If he can get back in top shape, he'll be a force to contend with inside the court. 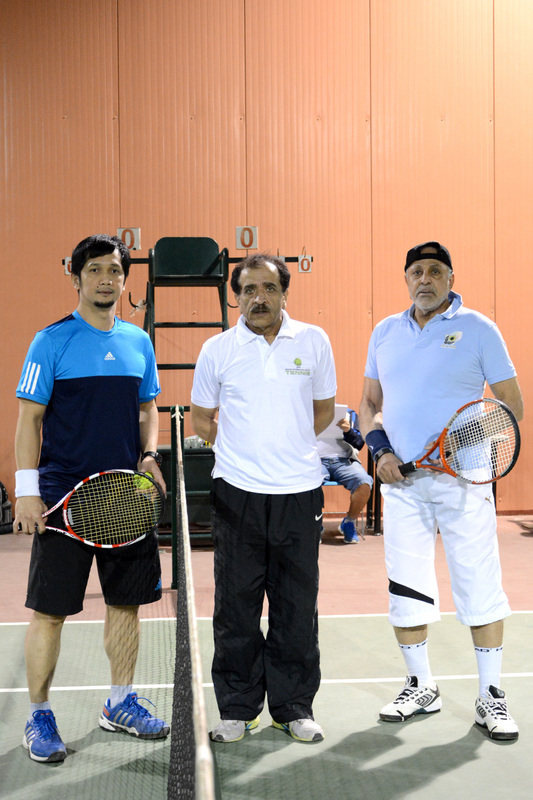 The week ended with a bang last Saturday with the final match of the week between Dr. Zuhair Fayez and Obet Tumale. Both players played an amazing game with the audience unable to predict who will come out on top. 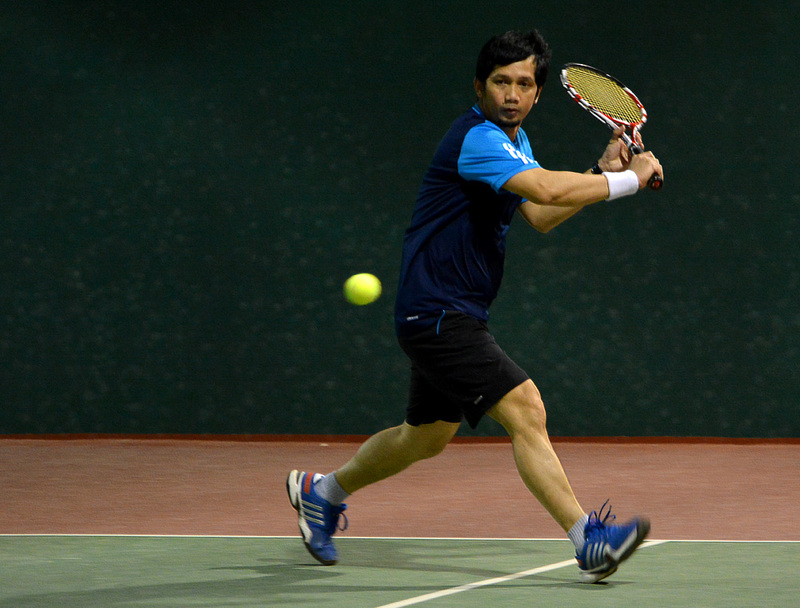 Obet had a slightly better game, however, and won in 2 sets with scores of 7 - 5 and 7 - 6 (tiebreak). 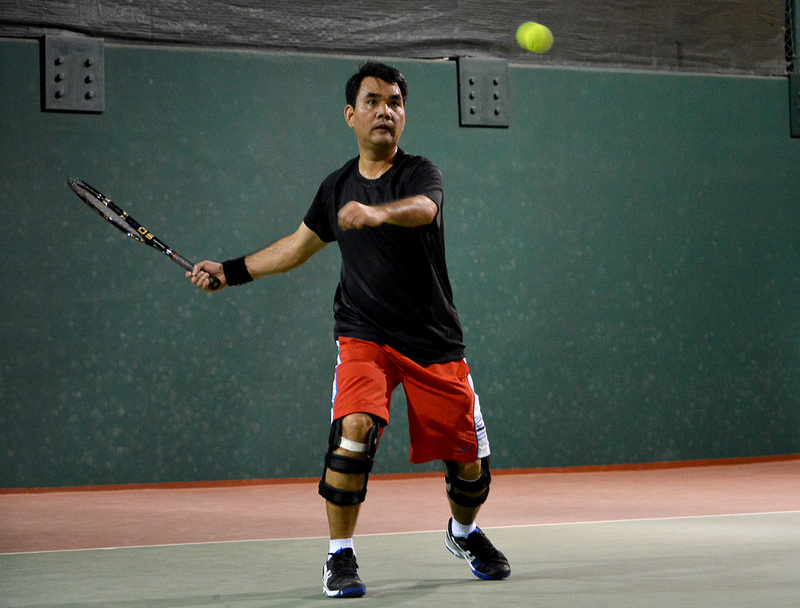 After the game, the Class A players watching were heard saying that, once again, it will be quite difficult to beat Dr. Zuhair this year since he still seems to be in good condition even after apparently practicing only once since last year's tournament.